1 BHK Farm House For Sale In Ballop, Kota To Jaipur Highway, Bundi, Rajasthan. 4 BHK Duble Story House For Sale In Talwandi, Kota.Nearby Allen Institute. The traditional Indian Vastu Shastra is an honored ancient science that is applied during the construction of any type of property. 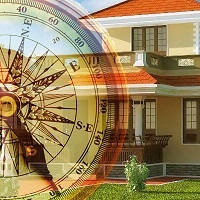 Any structure constructed as per the correct Vastu brings prosperity and positivity in the lives of the residents. If you require an expert opinions regarding the same, then quickly contact our Vastu consultants. At Vaishnav Properties And Finance, we are instrumental in offering dependable Vastu consultancy to the clients across Kota (Rajasthan, India). Our consultants can provide assistance in Feng Shui as well as the Indian Vastu Shastra. Our services are available for the construction work of all types of residential and commercial properties.